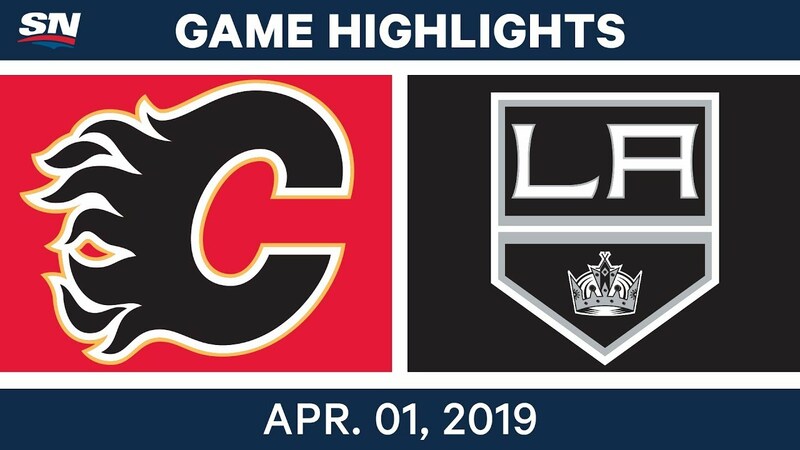 The Los Angeles Kings of the National Hockey League battled one of the elite teams in the National Hockey League on April 1 at the Staples Center, but came away with a disappointing result as they lost 7-2 to the Calgary Flames. 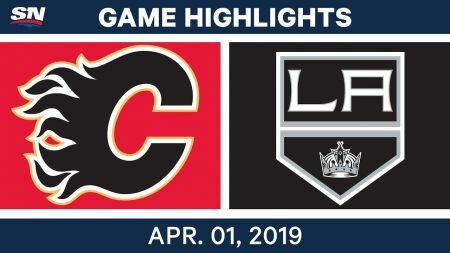 It has been a marvelous season for the Flames, as they have gone from missing the Stanley Cup Playoffs just a season ago to being the top team in the Western Conference in 2018-19. The Kings had a strong first period as they stayed even with the Flames. The game was tied at two goals apiece after the first 20 minutes. It is from the opening stanza, where you can find three of the four highlights. 1) Jonathan Quick makes quality save-- At 3:30 of the first period, Kings goaltender Jonathan Quick made a great pad save on a James Neal wrist shot. The save helped the Kings stay in the hockey game because at the time they only trailed 1-0. 2) Great backhand assist by Ilya Kovalchuk--In the 13th minute mark of the first period, Ilya Kovalchuk had an amazing backhand pass to Kyle Clifford, who scored his 10th goal of the season to tie the game at one goal apiece. Michael Amadio had the other assist. 3) Great passing in Flames zone leads to a goal-- In the final minute of the first period, the Kings displayed some marvelous passing as Anze Kopitar had a great pass to Drew Doughty, who then delivered an even better pass to Dustin Brown. On a night where Brown was honored as the Kings' all-time games played leader, he rifled a shot past Flames goaltender David Rittich to tie the game at two goals apiece. 4) Amazing save by Jack Campbell-- In the third period with the Kings trailing 7-2, Jack Campbell (who came in for Jonathan Quick in the Kings net) made an amazing diving save off a shot by Flames forward Alan Quine. During a season where there have not been too many bright spots for the Kings, the play of Campbell has been one of them. Campbell has had an excellent goals against average of 2.30 and a solid save percentage of .926. Get your tickets to see the Vegas Golden Knights and the Los Angeles Kings on April 6 at the Staples Center today!